contacts who are excited to connect with you about these opportunities. introduction to any of the organizations below. Or, check out our individual alumni spotlights here. AmeriCorps State and National recruits, trains, and places AmeriCorps members to meet critical community needs in education, public safety, health, and the environment. AmeriCorps VISTA provides members a full-time opportunity to serve at a nonprofit, faith-based or other community organization, and public agencies to create and expand programs that bring low-income individuals and communities out of poverty. Program Manager Eliana Zimet served as a VISTA for a year in Philadelphia! 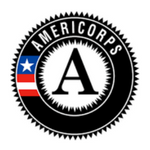 AmeriCorps NCCC – FEMA Corps is a full-time, team-based, residential program for men and women ages 18-24. Their mission is to strengthen communities and develop leaders through direct, team-based national and community service. Challah for Hunger alumna, Samantha Novak, completed a year of service as an AmeriCorps member after graduating from ASU! Click here to learn more. AVODAH is a service program that recruits people in their 20’s from North America. Corps members from various Jewish backgrounds spend a year working on urban poverty issues as full-time employees of non-profit organizations in Chicago, New Orleans, New York, and Washington, DC. During their year of service, participants live and study together, forming an intense and diverse community of people making a connection between social activism and Jewish life. After participants complete this intensive yearlong program, AVODAH’s extensive alumni network provides a broad platform for long-term leadership in social change and Jewish life. Challah for Hunger alumna, Rachel Glicksman and Adina Pomeranz served for a year with AVODAH. Click here to learn more. 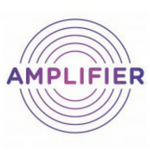 Amplifier is a network of giving circles motivated by Jewish values and inspired by change makers making a difference around the world. Amplifier has created dozens of documents — both quick overviews and in-depth guides — to help you start and strengthen your giving circle. Challah for Hunger runs alumni twice a year. Click here to learn more about our Alumni Giving Circle. 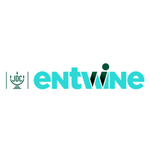 Entwine is a one-of-a-kind movement for young Jewish leaders, influencers, and advocates who seek to make a meaningful impact on global Jewish needs and international humanitarian issues. 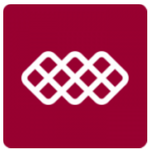 Entwine offers service experiences in Jewish communities around the world, educational events and programs, and leadership development opportunities. Challah for Hunger alumnae Kate Belza (Virginia) and Naomi Levin (Miami) both participated in JDC Entwine! Naomi is the Program Director at JDC Entwine. Click here to learn more. 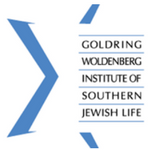 Goldring Woldenberg Institute of Southern Jewish Life Community Engagement Fellowship is a 2-year fellowship, providing a tremendous opportunity for recent college graduates committed to social change to do meaningful, on-the-ground work. Based in Mississippi, Fellows will help develop and implement programs across multiple Southern states. Challah for Hunger alumna, Amanda Winer, was a Community Engagement Fellow after graduating from Binghamton! 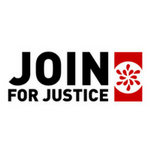 JOIN is a professional development opportunity for Jewish young adults (21-30) to become full-time community organizers for social justice organizations, explore their Jewish identity, and grow as leaders in pursuit of social justice. This highly competitive yearlong paid fellowship is open to Jewish young adults who have campus or professional experience working for social justice and are interested in systemic change and community building. Challah for Hunger volunteer, Tali Smookler, is the Program Coordinator at JOIN! Click here to learn more. 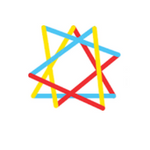 Moishe House, a pluralistic international organization, provides meaningful Jewish experiences to young adults in their 20’s. Their innovative model trains, supports, and sponsors young Jewish leaders as they create vibrant home-based communities for themselves and their peers. 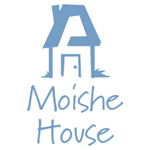 In 2015, their approach enabled the existing 86 houses and Moishe House Without Walls (MHWOW) to engage more than 38,000 unique participants. From Shabbat dinners and Learning Retreats to book clubs and sporting events, residents find ways to connect their peers with community, wherever they are. A digital and in-person hub, OneTable helps people in their 20s and 30s find, enjoy and share Shabbat dinners to make the most of their Friday night and enjoy the best of life together. They make it easy for hosts to welcome people to a Shabbat dinner at home, and for guests to savor a unique Friday Shabbat meal. There’s nothing better than a great dinner with people you love. Join them for slowing down, joining together, and sharing stories. Join them for new connections and moments of meaning. Challah for Hunger alumnus, Jon Eisen, is team member at OneTable! Click here to learn more. 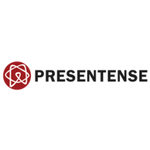 PresenTense employs entrepreneurship as a tool to grow local economies, enrich community life and solve critical issues facing society. They aim to make entrepreneurship accessible to all and accelerate social impact in communities across the globe. Over the past 7 years, they have run more than 50 accelerators and launched over 600 ventures. 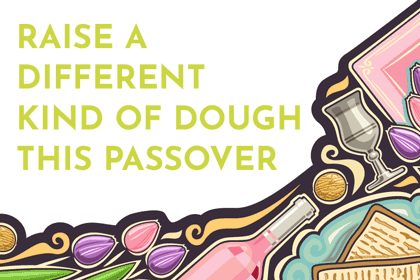 Challah for Hunger is the only organization to participate in PreseTense twice! Click here to learn more. 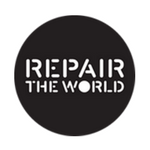 The Repair the World Fellowship is an 11-month opportunity for young adults (21-26) to engage and challenge the Jewish community by addressing social justice issues through meaningful volunteering. Fellows recruit, train, and serve alongside volunteers to bring about real community change around education justice and food justice. The Fellowship takes place in Detroit, NYC, Philadelphia, Atlanta, Miami, Baltimore and Pittsburgh. Challah for Hunger COO, Loren Shatten, completed 2 years of service with Repair the World Philadelphia, and both Program Managers, Eliana and Miriam, completed the Fellowship as well! Click here to learn more. 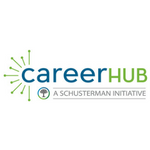 CareerHub, a Schusterman initiative, brings together talented individuals and organizations looking to hire exceptional candidates through a suite of job-matching and professional development services. Learn more about how we can help you find a meaningful job that is a good fit with your skills, experiences and interests! 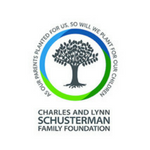 The Schusterman Family Foundation wants to help you get involved! Challah for Hunger—and all of its alumni—is an important part of the Schusterman network. 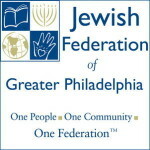 We encourage you to check out our opportunities homepage for jobs, grants, fellowships, programs, events and other exciting happenings in the Jewish world. Click here. 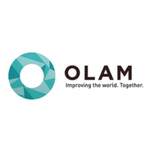 OLAM, a joint platform for promoting global Jewish service, has formed a coalition of 44 Jewish and Israeli organizations working with vulnerable communities worldwide. OLAM’s Take Action page provides a one-stop shop for opportunities to engage Jewishly with global causes through travel, service, study and advocacy, including a search engine which allows seekers to browse opportunities on the basis of age, country, and program length. Click here to learn more.